The stone fireplace in the living room, which is controlled by a thermostat. 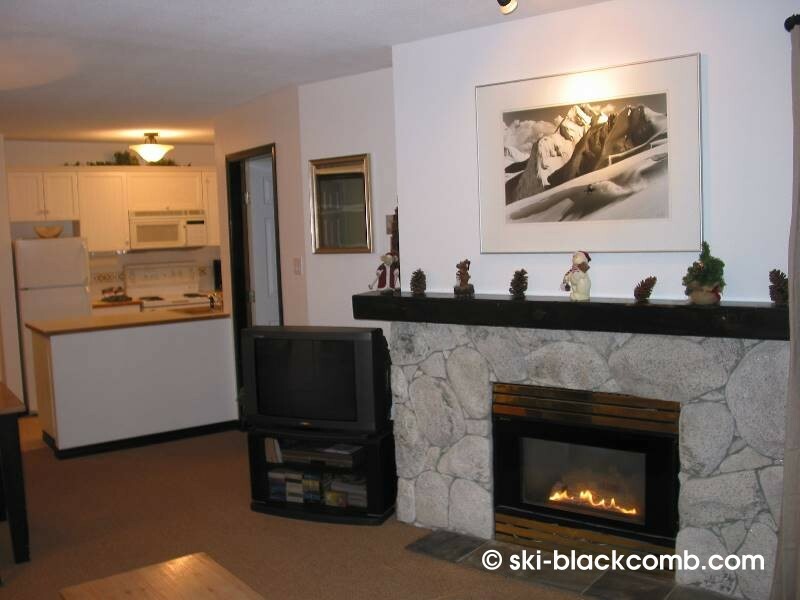 The TV and VCR are shown next to the fireplace. We include a small selection of movie videos and magazines. The living room with queen-sized sofa bed. All new furniture was installed in late February 2002. The new sofa bed has the thickest, highest quality mattress (6.5 inches) that is available for sofa beds. Another view of the living room. There are extra pillows stored in the coffee table. A view of the living room looking towards the windows and balcony. There is an ultra quiet view of the alpine forest from this suite. 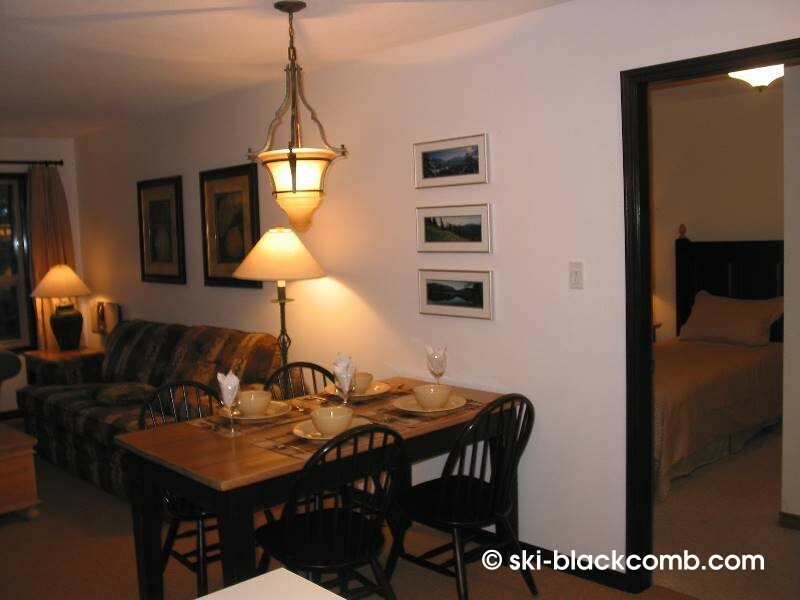 A view of the dining area and entrance to the 2nd bedroom. 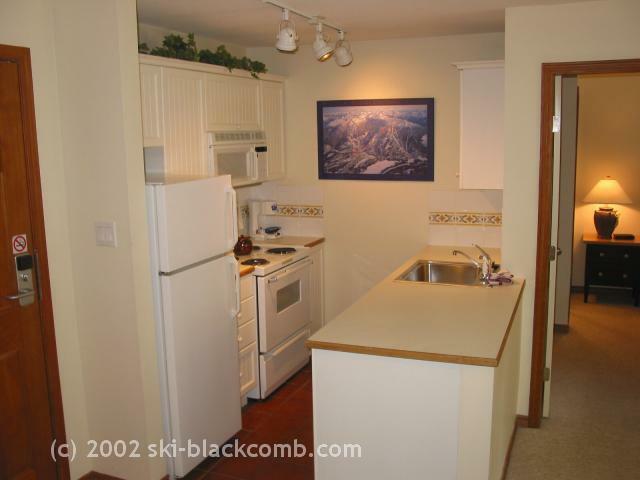 The kitchen area, with microwave, dishwasher, coffee maker, toaster, and all the usual appliances. This kitchen is fully equipped for your cooking and entertaining needs. 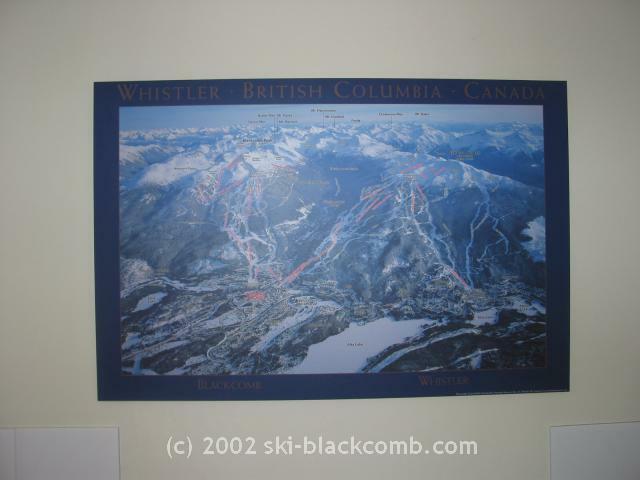 A full-size ski run map of Whistler & Blackcomb Mountains. 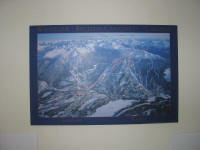 You can plan your day's skiing, and review where you skied at the end of the day. The en-suite bathroom for the master bedroom, with shower/tub, toilet and hair dryer. 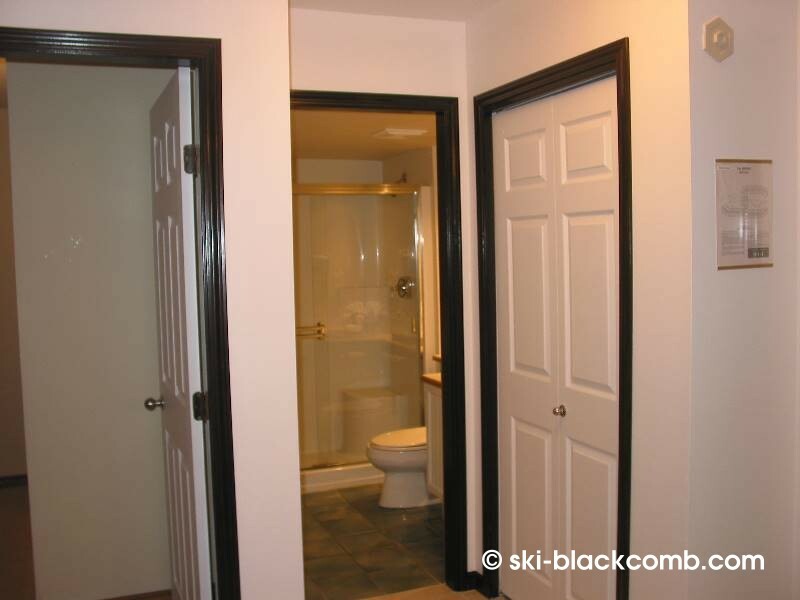 There is also a main bathroom next to the front door with a walk-in shower. 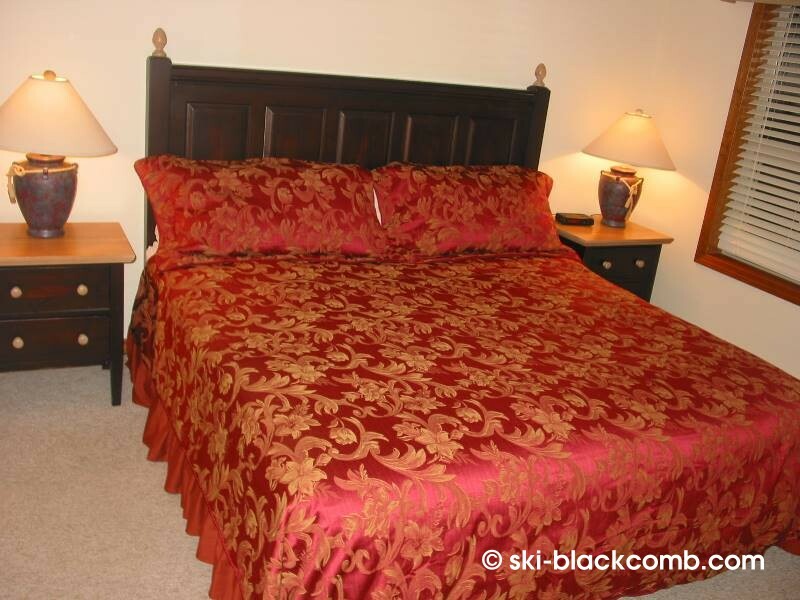 The master bedroom with king-sized bed. 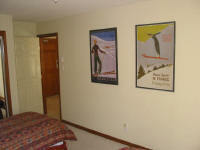 The second bedroom, with 2 single beds. The entrance to the main bathroom. 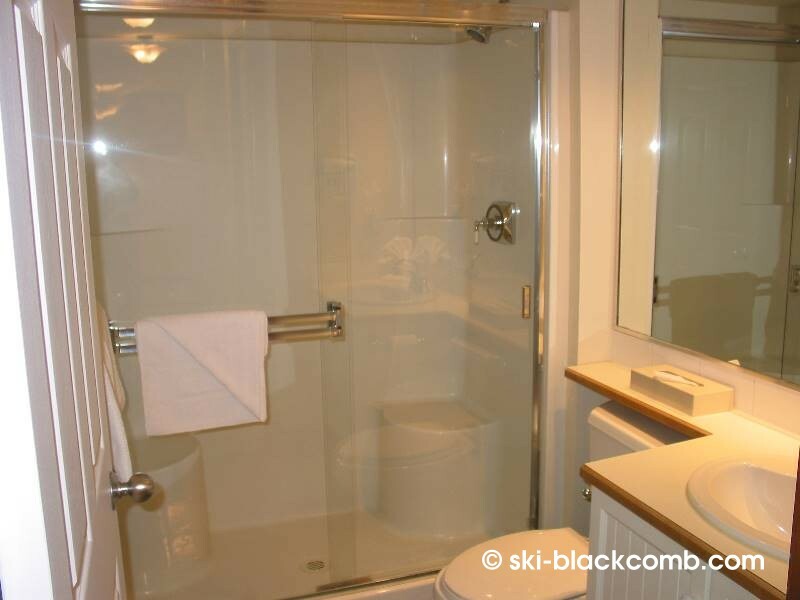 There is also an en-suite bathroom off the master bedroom. 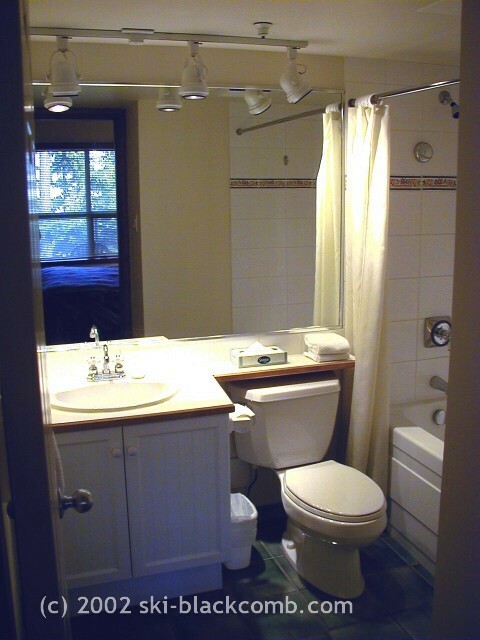 The main bathroom, with walk-in shower. 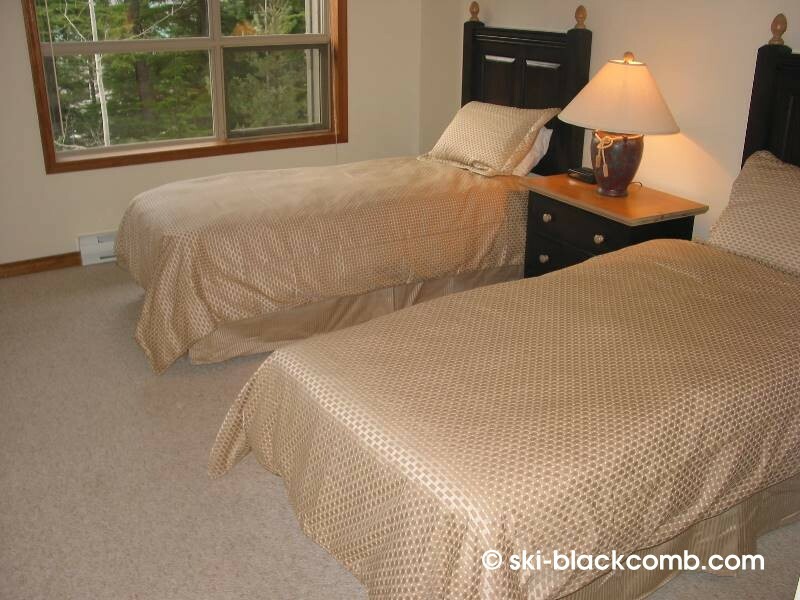 There is also an en-suite bathroom in the master bedroom. 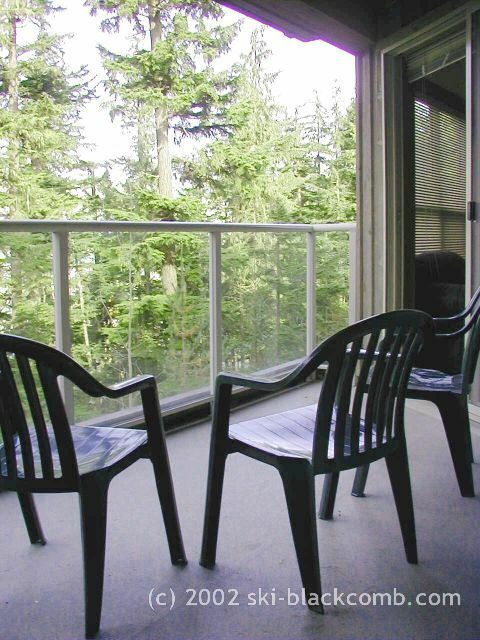 The balcony, with a lovely alpine forest view. 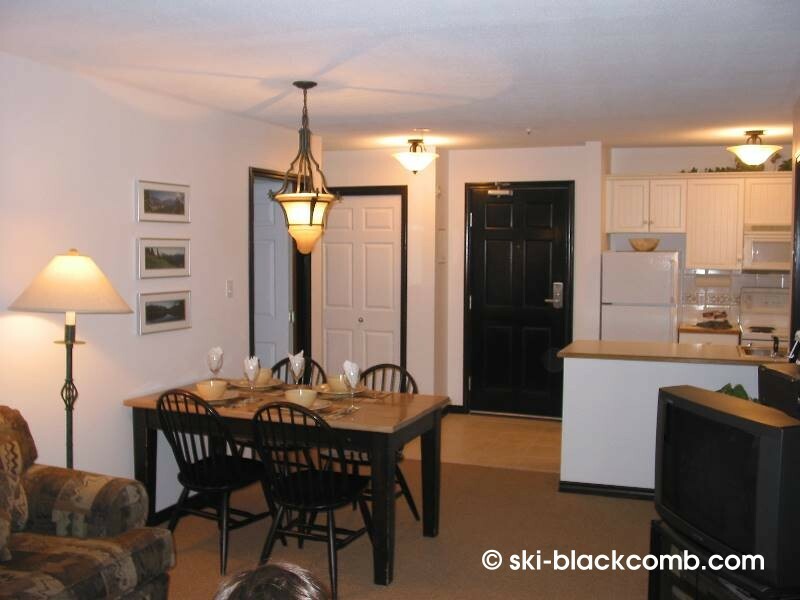 This is a VERY quiet suite, with no noise from car traffic, snow cats grooming the slopes, or late night partiers. If you like quiet, this is the place. 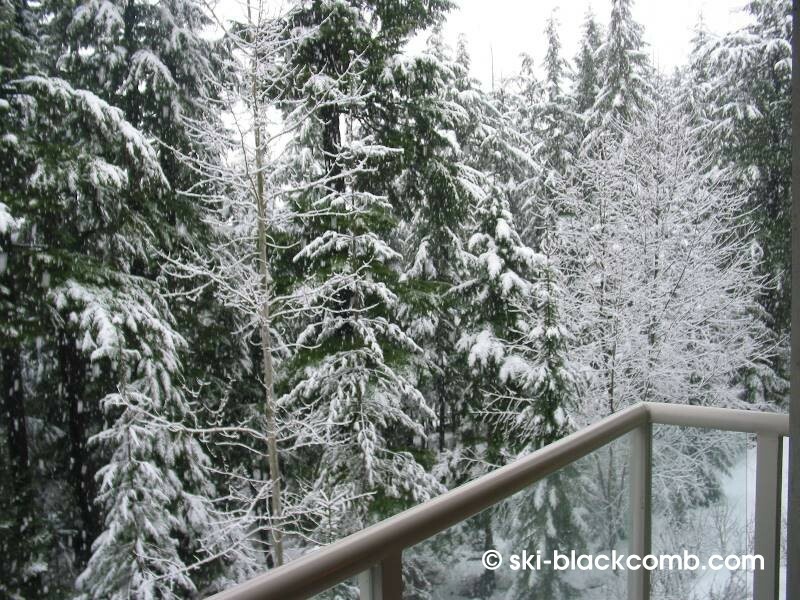 Questions regarding this web site should be directed to the webmaster@ski-blackcomb.com. Copyright © 2001-2015 Lesca Holdings Ltd. All rights reserved.